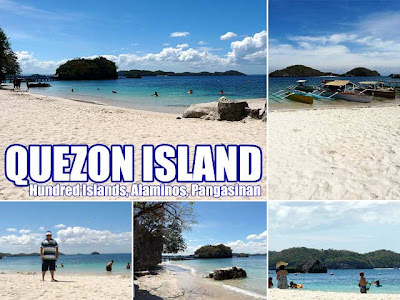 Hundred Islands in Alaminos, Pangasinan is one of the iconic attractions of the Philippines. We've learned about it through our elementary text books and seen it extensively in our tourism campaigns. Ironically, I only got to visit it recently. But the visit, albeit short, was most definitely worth it. Visiting the Hundred Islands is very simple. Just make your way to Barangay Lucap in Alaminos where boats are available. There are standard rates as well so no need to haggle. Just check with the dispatchers office as soon as you get there. You can do this as a day trip if you leave Manila early. 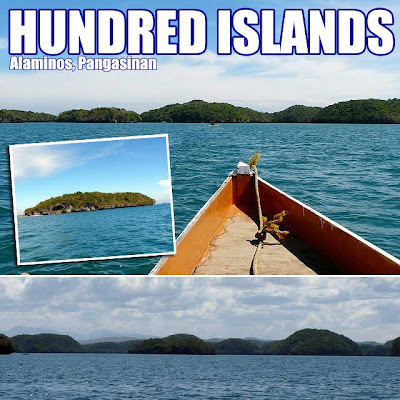 But it's best to experience Hundred Islands by staying at least overnight. Anyway, the boat will take you to Governor's Island where you can climb several steps to a view deck for the Hundred Islands. You can opt to swim there or proceed to Quezon Island where the white sand beach is much better or rent kayaks and snorkeling equipment. But if you want a beach all to yourself, you can ask the boat driver to take you to other islands with small beaches. I actually enjoyed Quezon Island since there's a lot to do there. And if you get hungry, there are sari-sari stores as well. I had other beaches to visit that day so I was back in the mainland just in time for lunch. While you're in Alaminos, make sure to try their longganisa. The city also has a lot of ancestral homes and I really hope they preserve them. Ivan. Sue and I used to go with our friends from Baguio to Hundred Islands. It was beautiful and lots of fun. Thanks for the reminder. Hey Z! It's a really nice place. I enjoyed my short visit. Could you quote the standard boat rates? I plan to go island hopping as well this summer but I'm not sure if that will fit in my budget. The small boat is PHP800. That's the amount I paid for the boat. hi..my friends and i are planning to go to alaminos..cant you tell me tell me an estimate amt for the expenses..we're planning stay in alaminos for 2 days..
Hi there, I've been here twice, summer last year and summer this year... this is my first ever island hopping experience. cant wait to have more. thanks! 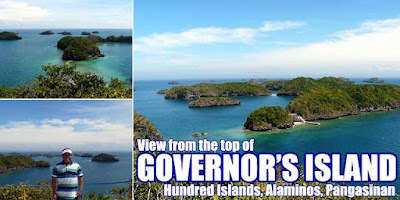 visit my hundred islands adventure here. Never been to Hundred Islands. Ganda . okay lang kaya if kasama ko yung son ko 2yrs old pa lang sya. maeenjoy kaya nya? safe ba?